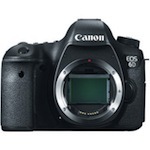 Comments: Canon 5D and other charger. 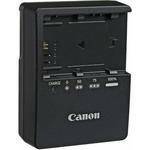 Description (from B&H):• The LC-E4N Battery Charger from Canon will charge two separate LP-E4 or LP-E4N battery packs–at a rate of 120-130 minutes per battery. The charger plugs directly into AC outlets, and includes a CB-570 cable adapter which can be plugged into a DC car socket. When in use, the charger performs battery capacity calibration so that the remaining battery level can be indicated accurately when used in the EOS-1D X camera. Description (from Anton Bauer): This four position simultaneous, fast charger is designed to safely and reliably charge Anton/Bauer Logic Series Batteries twice as fast as the TWQ. The modular design, utilizing four independent charging stations, gives the TM4 flexible charging options. Delivering all of the capabilities and efficiency of the field proven InterActive system, the TM4 is the perfect charger for the professional who needs the fastest battery turnaround time while in the field. The TM4 can charge 3 batteries while simultaneously acting as a 70 watt power supply. Comments: and one of these – with a total of 6-8 Anton Bauer batteries to power my LED lights, monitors, cameras and pretty much everything. Description (from Anton Bauer): The four position Quad 2702 PowerCharger is the most advanced power system available. This state of the art charger will sequentially fast charge any combination of Anton/Bauer Logic Series Batteries using the advanced charging techniques of the Anton/Bauer InterActive system in a package roughly the size of a notebook computer. Charger firmware is contained on a single field replaceable chip ensuring the Quad’s future compatibility with new cell technologies and charging methods. Comments:Works in combination with the "lunch box" charger. Description (from Anton Bauer): The Anton Bauer CINE VCLX CHARGER is a 560 watt charger and power supply for the Cine series batteries. 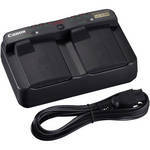 This charger offers one Cine series battery charging capability and multiple power supply outputs.